The firearms world is abuzz lately. Politicians calling to “ban all the things” because things are scary, and other fun things like due process violations dominate the lamestream mainstream media newscape. Oops, got a little political there. But what really has the “2A” community up in arms? ATF 41F, and it kicks in tomorrow. Or today if you are reading this on Wednesday AM. Good morning! 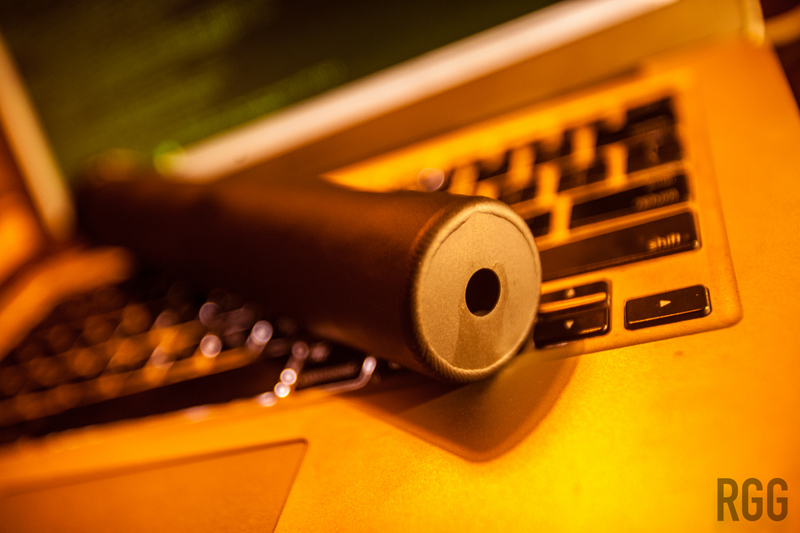 ATF 41F is a new rule affecting the way items falling under the purview of the National Firearms Act are handled with regards to background checks and so forth. Specifically, it defines what a “responsible person” is, especially in terms of items purchased via a trust or corporation. If it sounds complicated to you, that’s because it kind of is. I’ll go over what the National Firearms Act is, and then delve into what the ATF considers a “responsible person”. Hopefully this will clear things up for regular guys and girls. Back when times were simpler and people had more constitution (in many ways), buying a gun was a simple affair. You went to the store, and bought it. Or ordered it through the mail. Heck, you could even order suppressors through the mail, and they were cheap. 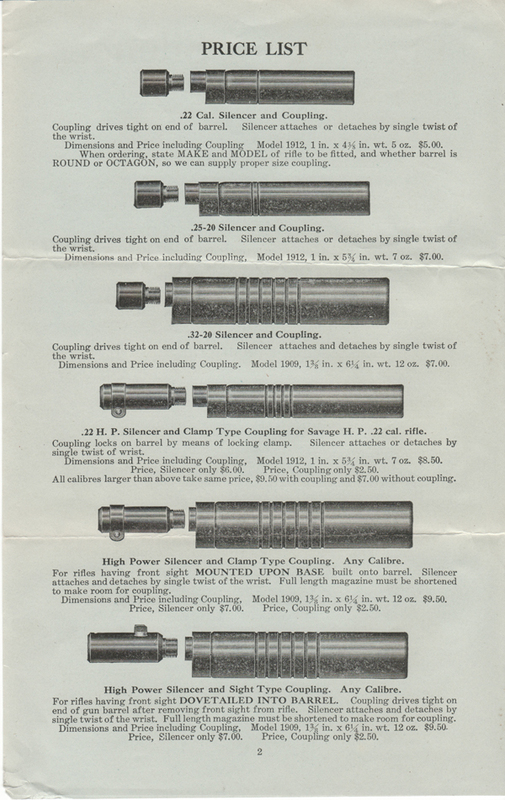 A $7.00 suppressor would only be $163.00 today. There were no background checks, magazine capacity restrictions, or even the FFL (licensed gun dealer) system. You could buy a pistol or a Thompson machine gun with equal facility if you had the money. Somehow, society survived. Sure, there was violence, much like there is today, but the rate wasn’t truly astounding. Fast forward to the 1920s & early 1930s. Gangland. Al Capone. The St Valentines’ Day Massacre. An assassination attempt on the most misunderstood (and in my opinion, the recipient of a lot of undeserved praise ahem internment camps ahem) President of the modern era, FDR. A few high profile incidents like these led for the first serious calls for gun control by the government. After much wrangling, the end result was the National Firearms Act of 1934, aka the NFA. The Act originally mandated registration and a $200 tax on all firearms sold in the United States. The politicians, knowing they couldn’t gut the Second without a massive legislative effort, did what politicians are wont to do, and figured out a workaround in the form of the tax. 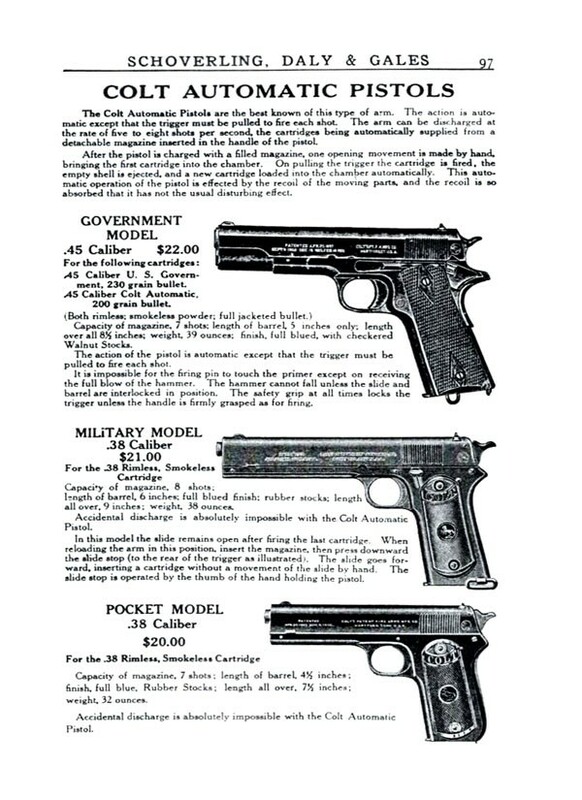 $200 was a lot of money in 1934 (about $3600 today) and placing that tax on guns would have effectively banned the private possession of all firearms produced after that date by American citizens. Machine Guns - any firearm which discharges more than one round per trigger pull. Basically anything considered “select fire” with a fun switch. The receiver itself is considered a machine gun as well. Later, in the 1980s, any device (drop in auto sear, lightning link) was also considered a machine gun as well. Yes, a $10 paperclip-looking thing is a machine gun according to the government. Short Barreled Rifles aka SBRs - This category includes any firearm with a buttstock and either a rifled barrel less than 16 inches long or an overall length under 26 inches. The overall length is measured with any folding or collapsing stocks in the extended position. So if your barrel is 15.5 inches long - you could have an issue. Short Barreled Shotguns aka SBSs - This category is defined similarly to SBRs, but with either a smoothbore barrel less than 18 inches long or a minimum overall length under 26 inches. Suppressors aka silencers - Yes, silencers. For reasons not readily explained even today, suppressors were tossed in there for good measure. Destructive Devices - grenades, missiles, artillery pieces, etc. All these firearms/devices were subject to the aforementioned tax, and registration, ostensibly as a means to combat crime, despite the fact that these weapons were rarely used in crimes to begin with. Only law-abiding gun owners suffered. But the government “did something”, which calmed down the shrill voices calling for gun control, temporarily, of course. It gets further complicated down the line as the Act was modified with various Congressional, and later, ATF rulings. Things like suppressor parts, auto sears (the part of a machine gun which enables continuous fire), and so forth were considered NFA items in and of themselves. Even having “X” amount of parts to make a machine gun, i.e. a sear, fire control group, full-auto bolt in the same room constituted “constructive possession”, and people could be prosecuted for it. The Act has been amended along the way, with the formation of the “Any Other Weapon” (AOW) category. Subject to registration but “only” a $5 tax, certain oddball weapons like derringers, the Serbu Super Shorty shotgun (basically a big pistol that fires 12-gauge shotgun shells), pen guns, cane guns, and so on would fall under the Act. And it’s still with us today. As I stated before, the Act requires these “special” weapons to be taxed and registered. Today, part of the registration requirement includes having the local chief law enforcement officer (CLEO), aka the police chief or sheriff, sign off on the purchase, basically attesting that you’re a good regular guy or girl. Since cops supposedly know that sort of thing. The trouble was, most CLEOs wouldn’t sign it. The role of CLEO in most jurisdictions is a political one. Sure, they are sworn officers, and some of them like Sheriff David Clarke are great lawmen who support our rights, but by and large, the role of CLEO is given to an officer who knows how to play political football. Elected or appointed, a lot of these guys and girls simply didn’t want to be “the one” signing off on machine gun and suppressor purchases. Old Lady Watts down the street just wouldn’t abide by it. As I stated in the introduction though, not only persons are able to buy NFA devices, or any firearm for that matter. Entities such as corporations and trusts can, as well. Conveniently, according to the ATF rules up until July 13th 2016, the people in a corporation or a trust didn’t have to seek out CLEO approval to purchase NFA items. So, enterprising ladies and gents bought these items via a corporation, or more commonly, an irrevocable legal trust. Pioneered by David Goldman, the “Gun Trust Lawyer”, the gun trust, or “NFA Trust” enabled people in NFA-unfriendly jurisdictions to acquire regulated items in accordance with federal law, provided the state as a whole allowed for the possession of said items to begin with. For example, here in Miami, the CLEO, (currently Juan J Perez), would never sign off on NFA items. He doesn’t want to be “the guy” letting regular guys and girls get machine guns. However, he can only restrict persons, not entities. The solution? Establish a trust, fund it, and let the trust buy the item. Upon purchasing the item from a firearms dealer that has paid a special occupational tax (SOT) to deal in NFA items, an ATF Form 4 is filled out, a method of paying the $200 tax (check, money order, credit card) is specified, and the trust paperwork is attached, and it’s all sent off to the ATF for approval. In the trust itself, there’s people defined, of course. The trustee, settlor, and so on. Only the trustees have legal access to the item. The trustees usually include the person who wants the item, and any members of his or her household. The ATF checks that the trust paperwork is valid, i.e. the people defined on there exist, and that the Form 4 is properly filled out for the item, whether it’s a suppressor or a machine gun. There’s actually no background check performed at the ATF. Though rumor has it that if you are purchasing a machine gun, there’s a higher-level AFIS check performed. This is for trust purchases, of course. For the rare individual purchase that goes through, the NICS check is performed at the ATF. The background check happens when the trustee picks up the item at the dealer, after the paperwork comes back approved. I personally went through this when I purchased my Specwar 762. I filed my Form 4, payment, and trust, and only got a NICS check when I picked up the can at DSC. The prickly part that got the ATF all huffy was that other trustees weren’t subject to a NICS check. For example, I could purchase a a suppressor, and legally my fiancé could take possession of it (she’s on my trust), without a NICS check. Yes, private firearms transfers are legal in Florida, but NFA items don’t fall under the purview for the most part. So, in all their wisdom to address a “problem”, i.e. “do something”, the ATF came up with Rule 41P, later called 41F after it was finalized. The ATF enjoys an unusual status in our nation. They can create rules as if they were laws, usually with no congressional oversight. Over the years, they’ve done this on a regular basis, whether it was for innocuous things like the specifications on engraving your trust name on an SBR, or the much-maligned 41F. When ATF 41F was 41P though (the “P” stands for Provisional), it was much worse. Initially, ATF 41P would have made the idea of purchasing via a gun trust null and void. Trustees would have been required to seek CLEO approval, which is almost universally denied, as I noted. Had 41P become 41F in it’s unaltered form, the market for suppressors and other NFA items would have been effectively shut down. Companies without law enforcement and military contracts would have went under. Thankfully, the ATF’s rule-making power is checked. Each rule is subject to a comment period, where people like you and me can comment on the rule, and propose changes. And comment we did. The ATF received over 9500 comments in opposition to 41P, and by law had to answer them all before finalizing the rule. This delayed 41P by years. In the interim, back-room negotiations between the industry, the NRA, the NFAFA, the American Suppressor Association, and the ATF resulted in a very “neutered” ATF 41P, soon to be called ATF 41F. The initial industry-destroying requirement of universal CLEO approval was struck down. Trusts wouldn’t have to seek the permission of the local police chief to acquire an NFA item. Even better, the requirement for CLEO approval was totally removed from the NFA. Now individuals can purchase NFA items, no trust needed. This is useful for those who don’t live with anyone, or don’t wish to establish estate plans for their high-value firearms. However, compromise was the name of the game. The firearms scene had to give something. The new requirements state that any “responsible person” listed on the trust, i.e. someone with access to the firearm or suppressor being purchased, must supply a photograph, fingerprints on an FBI FD-258 card, the new “Responsible Persons Questionnaire” aka Form 5320.23. and also be subject to a background check upon delivery of the item. So yeah, there’s more paperwork for trustees, plus all of you have to make a family trip to pick up the item and undergo a NICS check. The specifics of that check, i.e. does your 5-year old son have to get checked because he’s on the trust, will probably come to light soon. Unfortunately, the CLEO is still involved in the procedure, for everyone. Now, whether a trust purchases an NFA item, or an individual, the entity must notify the CLEO of their jurisdiction of the purchase. He has no say in the purchase, but you gotta tell him. Via snail mail. Unfortunately this means each and every CLEO will have a convenient list of high-value firearms in their area. The security implications of this are troubling. It’s not that I don’t trust my CLEO. I don’t trust his data security. Does he dispose of the notification? Is it filed away somewhere? Is it scanned or manually typed into an Excel sheet on a computer running XP and a buggy rip of Malwarebytes? Also, in our state, a firearms registry at the local or state level is illegal, and in my mind, CLEO notification is tantamount to a registry. Attorneys are already on the case, so we shall see. In a nutshell, I feel ATF 41F exceeds the authority of the ATF, especially with regards to essentially setting non-voted-upon laws on to who requires a background check. For trustees, life is a little more inconvenient. Fingerprints, photos, multiple background checks, it’s a bit of a pain. If you are an individual purchaser, life just got much better. You can shop til you drop and only pay for the item and the $200 tax and need only trouble the CLEO with a notification. The NICS check is performed at the ATF, and you can just pick up your item and go home with no delay once the paperwork is approved. Sidebar: When Obama spoke of 41F (in general terms) back in January, and claimed it addressed a “loophole” where trusts could acquire “dangerous weapons” with no background check, he was lying. Sure, only one trustee underwent a NICS check, but his claim that there were no background checks was bogus, and the worst kind of fearmongering and pandering. For the record, crimes with NFA items, registered or not, rarely happen. So rare it’s not even worth commentary. The notification is the kicker though. As of right now, there’s no statements on how it will be enforced, and also on whether it’s even legal to have this step. Until there’s a concrete decision on how the notifications are handled and secured/disposed of, or the requirement is struck down, I’m personally going to hold off on NFA purchases. I’m gonna wait for the dust to settle. I don’t want to go through the hoops, be compliant, only to find I didn’t really need to be. However, 41F could have been far worse. We could have all woken up today to a different world, one where the NFA scene was effectively restricted to a few select municipalities with friendly pro-2A CLEOs.